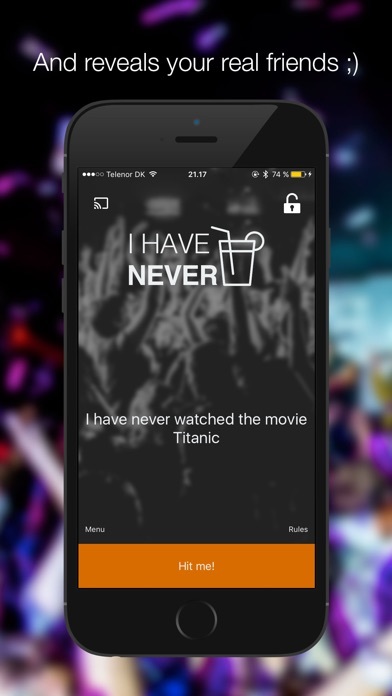 The perfect "I Have Never" app for the party. Use it before going to a party, while you're out, or somewhere random. Whereever you are, you'll always have a great party. 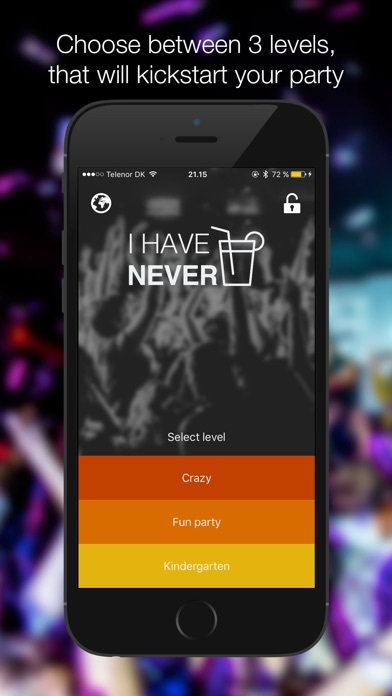 - The app with the most questions - 3 categories to best suit the party - Learn your friends' secrets - Includes extra cards to make everyone drink Let's go crazy - Get it now to have the best party in a long time!